Each material of tiles have different thickness and hardness, so you have to choose tile saws that can cut through many types of tiles. The standard tile saws have blades with 8 to 10 inches in diameter. An 8-inch blade usually has a maximum cutting depth of 2 inches, while a 10-inch blade can cut about 2.4 to 2.6 inches. These are a must-have if you want a portable cutter that doesn’t need electrical wires and doesn’t produce too much dust. Look for a cutter with double guides for easier scoring and cutting. A tool with different cutting measurements like 26”, 36”, or even 60” is also good to have. These often come in the form of kits that include a set number of wedges and clips. For a tiling business, it’s good to get systems that give as many wedges and clips, even hundreds. Make sure that your levelling systems are built for durability and precision. At one or another, you’re going to have to drill a hole in your tile. It’s best to get a diamond drill bit kit that allows wet cutting, which reduces the amount of noise and dust on the site. Drill bits with lateral openings also improve the cooling of the drill bit and make the installation faster and smoother overall. Tiling involves a lot of kneeling, and you don’t want your knees to darken or constantly be pressured. There are three general types of knee pads: hard-cap knee pads, curved soft caps, and flat-cap knee pads. Many tile installers prefer flat-cap pads when installing tiles because they contact the floor with the entire surface of the knee pad. 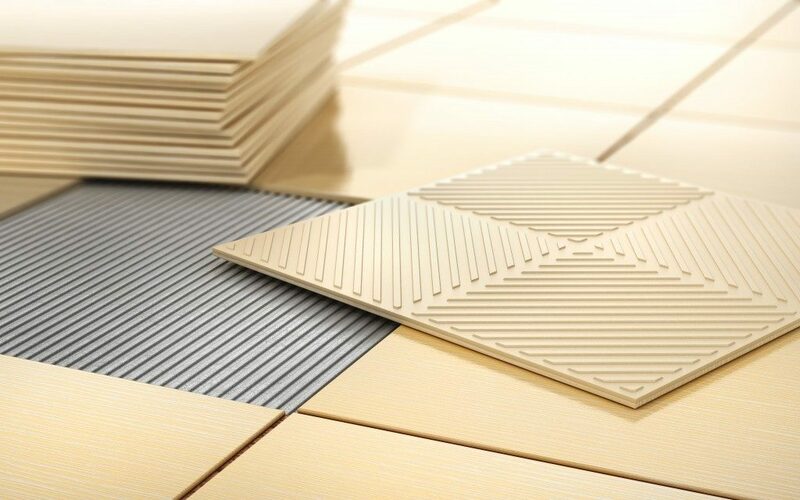 These are not only for bathroom floors and tiles but also for other parts of the house where there is likely to be leakage. There are liquid waterproofing membranes that can be used for both crack isolation and waterproofing membrane. You can also get waterproofing sheet membranes that are very easy to install. 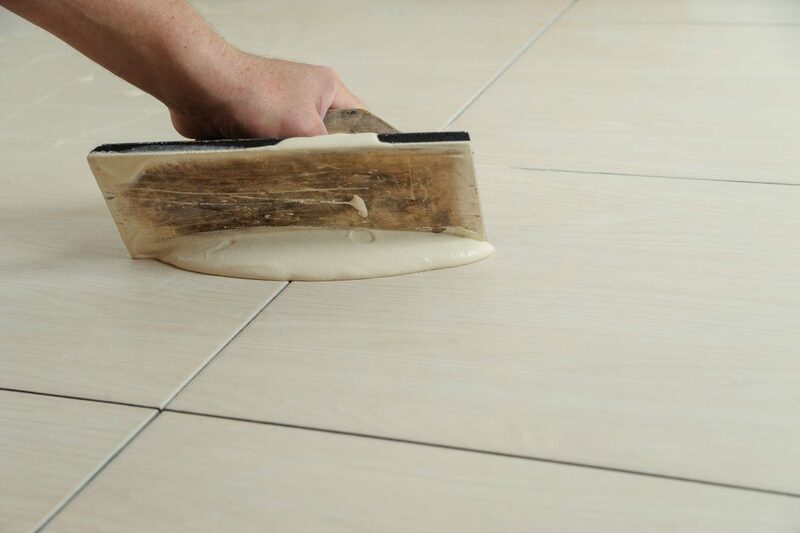 The three key grouting tools are the grout float, grout spreading bag, and grout removal tool like a scraper or blade. Some rubber grout floats are designed to spread grout over large areas, while some are designed to spread grout in hard-to-reach areas. It’s better to have both to make the installation process easier. How long your installation lasts hugely depends on the mortar consistency. The right tile mortar mixer will help you get a strong bond that ensures a long-lasting installation. Make sure to get a mixer that can mix cement, paint, resins, adhesives, and many other materials. Getting a rubber bucket for your mortar will save you hours of painstaking cleaning. Rubber buckets are a lot easier to clean than plastic buckets even if the mortar is completely dry. Buy them in different sizes to suit your need in any situation. There are a lot more tools out there that can make your life easier, but this list is a start. Make sure to buy your tools from reputable shops and research the best brands for each. After all, your installation can only be as good as your tools.